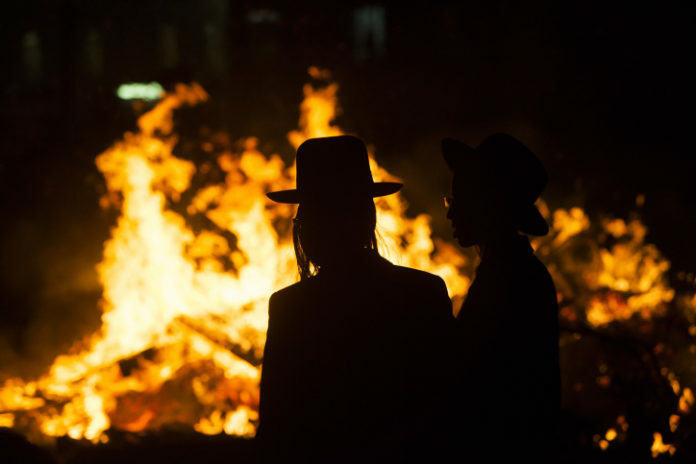 There are essentially four ideas behind the joy of LaG BaOmer. In this article, we will attempt to explore them all. The Ramah Shulchan Aruch (OC 493:2) that on LaG BaOmer we engage slightly in Simcha – joy. Commemorating LaG BaOmer is a serious matter. The Mogen Avrohom cites the Kavanos HaArizal that discusses a certain individual who had the habit of reciting Nachem every day. He continued to do so on LaG BaOmer as well. For doing so he was punished. We see, therefore, that one should take the words of the Ramah quite seriously. It commemorates the students of Rabbi Akiva who ceased dying during this day – although the deaths persisted between Pesach and Shavuos. (Shla Psachim 525). It also commemorates the Manna which began to fall on this day after the Bnei Yisroel left Egypt (Responsa Chsam Sofer YD #233 “Amnam Yadati”). The Talmud (Yevamos 62b) tells us that 12,000 pairs of Rabbi Akiva’s students died on account of the fact that they did not extend honor to one another. Rav Chatzkel Levenstein zatzal asks how it could be that the great students of Rabbi Akiva neglected this most basic of principles? Rabbi Levenstein explains that they were unaware that, in fact, honor is only poisonous when one seeks it – but when one extends it to another it is not poisonous at all. When we build the self-esteem of others, it is actually quite healthy. Rav Levenstein explains that this notion is very subtle and nuanced and it could well be that the notion itself was only revealed in the world at that time. Why then were they punished? They were smart enough to have been able to figure out and contemplate this issue by themselves. Having neglected to delve into this psychological insight was their error. Rashbi, whose Yartzeit we commemorate on this day, merited to compose two extraordinary books that form part of the Zohar. They are the Adara Rabbah and the Adarah Zutah. Rav Yoseph Chaim in his Responsa (Rav Pe’alim YD #156) explains why it was that Rabbi Shimon Bar Yochai, above and beyond his masters the Tannaim, merited to write these extraordinary books. He explains that although his teachers and masters were greater than he was, he had the ability of couching these teachings in esoteric terms. Indeed, Rabbi Shimon Bar Yochai was so adept at obscuring the true understanding of these thoughts, that they could even be expounded upon publically – and only those that truly merit understanding it would be able to figure out the true inner meaning and import. According to this, we commemorate the fact that Rabbi Shimon Bar Yochai not only transmitted these remarkable teachings, but vouchsafed them in such a manner that they not be abused or taught to those who are unworthy. The ordination that Rabbi Akiva conducted on his five students was a heroic event that changed the course of Jewish history, and that of the world. These students were Rabbi Meir, Rabbi Yehudah, Rabbi Yossi, Rabbi Shimon and Rabbi Elazar Ben Shamoa. Under the pressure of the dark forces of Roman tyranny and religious oppression, these valiant scholars, who were privy to the noblest ideals of the Bible, its teachings and oral traditions, knew that no matter what the cost – they must ensure the continuity of these teachings. They were the future educators of us all. It was a point in time where the forces of evil and darkness were pitted against goodness and light. The light of Torah ultimately won out and Torah Judaism was to effect and alter the world. We commemorate this remarkable event on this day of LaG BaOmer. The words of the Mogen Avrohom concerning the man who was punished for not commemorating this day are, therefore, well understood. The Manna represents the spiritual nourishment that G-d granted the Jewish people upon their departure from Egypt. Manna allowed us, the Jewish people, to develop a close bond, a Dveikus, with the Creator – that has defined who we are as a nation. Although the Manna no longer falls, the admonition that the Jewish people have to continue that bond, to continue imitating G-d and attempting to be like Him has never ceased. The Talmud (Shabbos 133b) tells us Mah Hu Rachum af attah Rachum veChanun – just as He is Merciful, so should you be merciful. Just as He is kind so too must you be kind. Just as He clothes the poor – so should you clothe the poor. Just as He buries the dead, so should you buy the dead. This is the message of the Manna that still exists to this day, and this is what LaG BaOmer commemorates. Nonetheless, perhaps due to the deaths of so many of Rabbi Akiva’s students, the Minhag is to celebrate a little bit and not to make it into a full-fledged holiday. The Chsam Sofer points out that our Talmud does not mention it as a holiday at all. So how do we commemorate this day? The Bnei Yissaschar states that the custom is to light a number of candles in Shul on this day. We do not fast on this day – even for a Yahrtzeit, except for a fast of a bad dream. We do not recite Tachanun on this day, nor on the Mincha before it. We get married and attend weddings. We join in with singing and dancing, and we listen to music (See Pri Magadim Aishel Avrohom 493:1). So as we hear the song and dance of the Jewish weddings and the words, “Od Yeshamah, let it still be heard in the cities of Yehudah and in the outskirts of Jerusalem, the sound of joy and the sound of happiness, the sound of the groom and the sound of the bride” let us think of these four reasons: Building the self-esteem of others and according others due honor is of utmost importance; vouchsafing the teachings of the Torah is paramount; Jewish continuity and education is key; and the spiritual bond and Dveikus that we have with Hashem should be central to our lives. May Hashem bring the Geulah Shleimah speedily in our days!